As time goes on and as our skin change, we’re constantly on the lookout for that perfect cleanser. Doesn’t matter if your skin is going through an oily stage or hitting a dry spell, we’ve got all that covered with this list of best facial cleansers for each skin type. Part of Curél Sebum Care Range, for sensitive, oily or combination skin types – it protects the skin’s natural ceramide while effectively cleansing and retaining moisture. It is also armed with its unique sebum zero-in control technology that inhibits excessive sebum secretion. This also helps to regulate sebum secretion from within the skin, thus preventing the occurrence of acne. Goodbye oily skin! 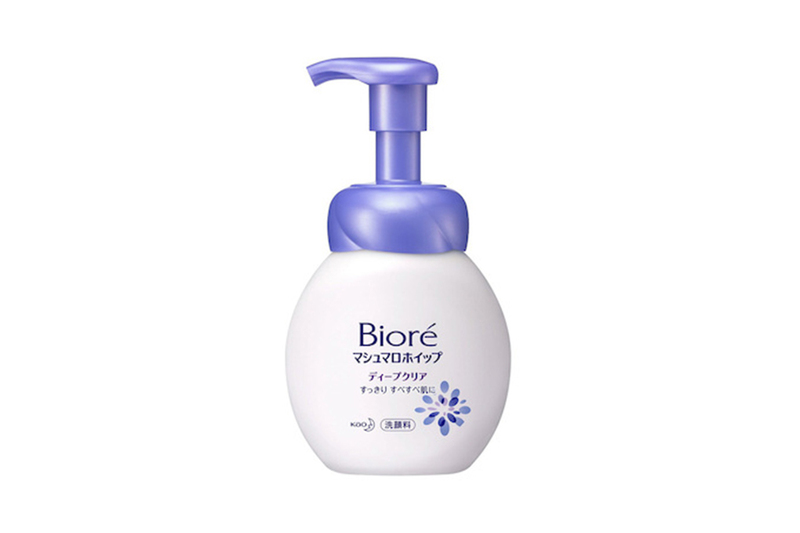 Bioré Marshmallow Whip Deep Clean Facial Wash has Skin Purifying Technology that retains moisture and skin suppleness during deep cleansing. Also contains cleansing ingredients that removes excess sebum. With 800% more micro-bubbles and 8x denser foam, it can also penetrate into pores to remove all dirt, oil and impurities for a deeper & cleaner cleanse. 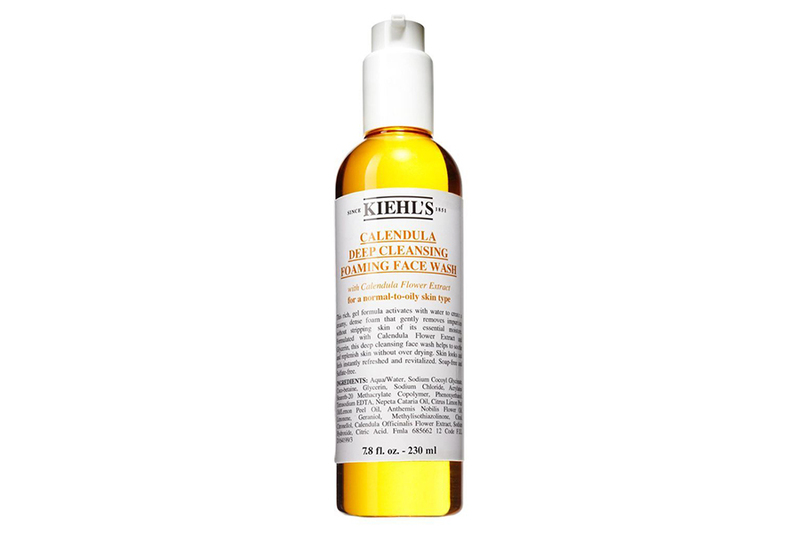 Kiehl’s Calendula Deep Cleansing Foaming Face Wash has a gentle formula that lifts away impurities, dirt, and oil without stripping the skin of its moisture. The creamy gel formula which is soap and paraben free activates with water to create a rich foam! Leaving the skin instantly refreshed and revitalised. Help your skin to feel cleansed, refreshed and nourished with Simple Kind To Skin Vital Vitamin Foaming Cleanser! 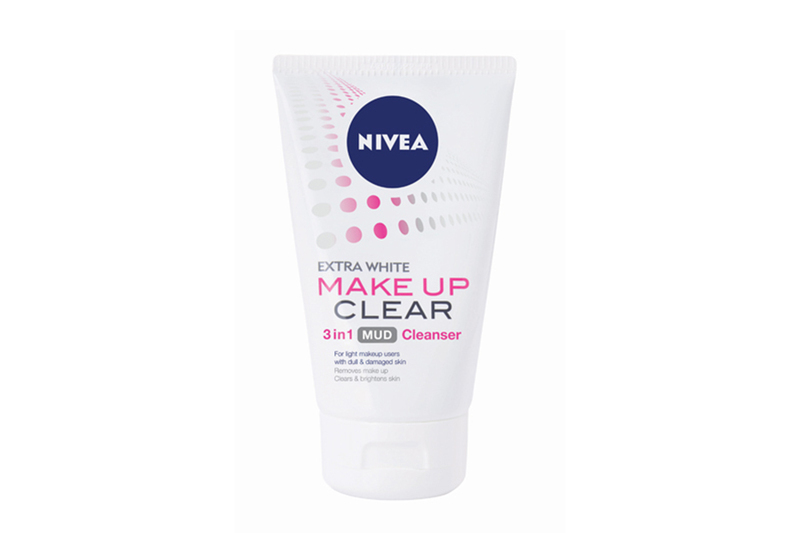 It contains the perfect blend of ingredients for gently removing impurities and traces of make-up. Ideal for people with sensitive skin. This vitamin-C creamy foam cleanser is packed with natural herbs that gently yet effectively remove makeup and impurities while hydrating the skin! It contains wormwood to prevent breakouts, soapberry to detoxify, and sweet flag to cleanse and soften. These botanical ingredients are effective, natural, gentle, and non-stripping cleansing agents. The creamy lather immediately removes impurities while respecting skin’s natural moisture barrier. 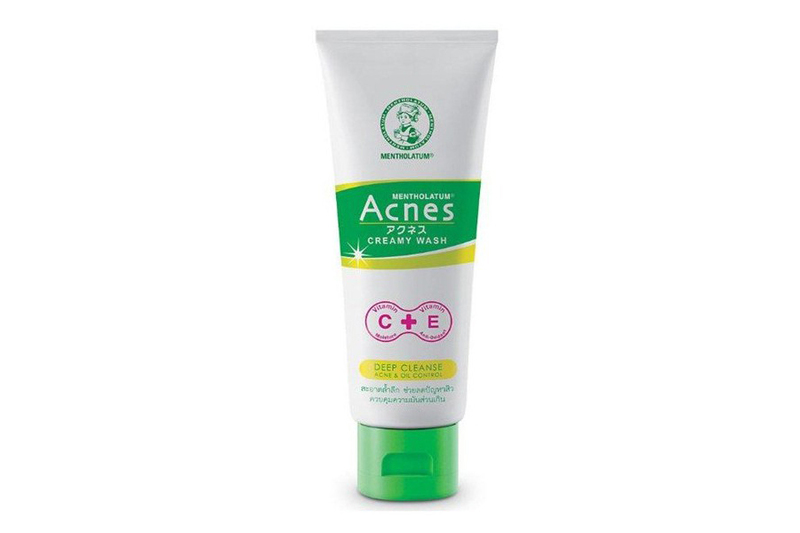 The Acnes Creamy Wash Foam deeply cleanses to effectively remove dirt, oil, impurities and excess sebum with low irritation. It contains salicylic acid (BHA) to deeply penetrate to unclog pore, dry up pimple, and kill acne bacteria. Lightens scars with centella asiatica extract and helps improve skin renewal with soothing pimple’s redness and provides hydration with seaweed extract without harsh drying effects. 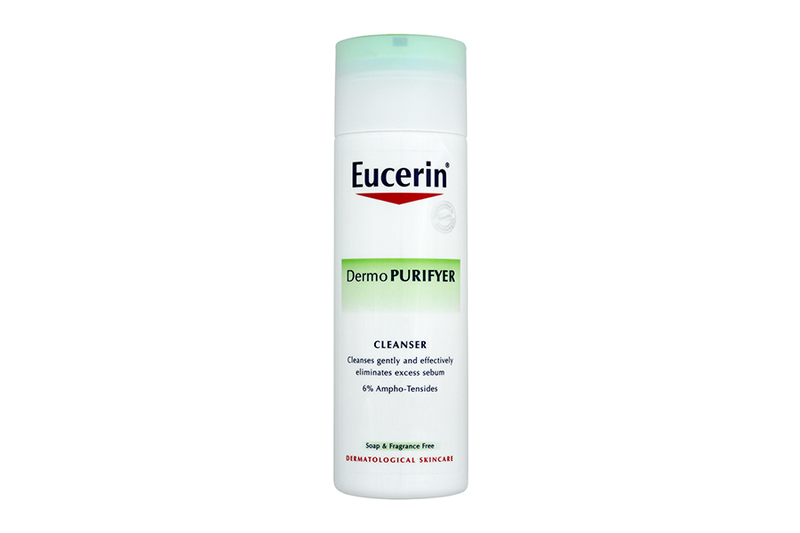 Eucerin DermoPurifyer Cleanser is a daily-use, soap-free and fragrance-free formula for gentle, yet effective, cleaning for acne-prone skin. 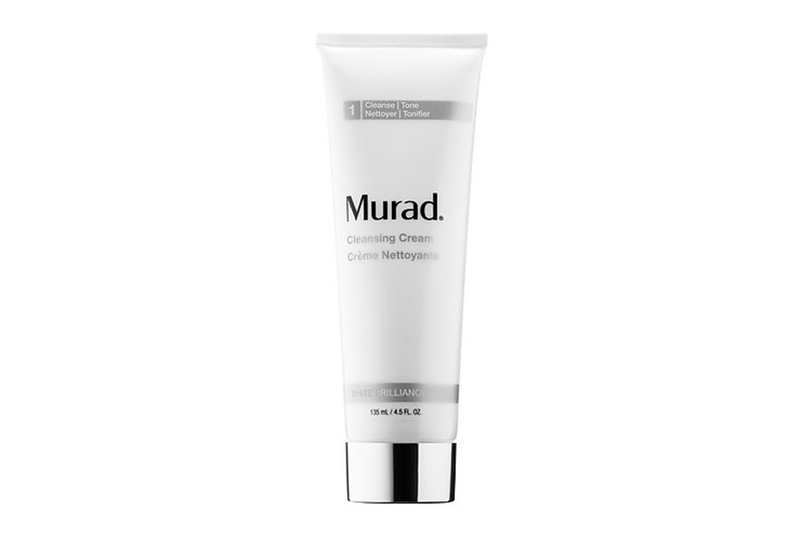 Containing ampho-tensides, it eliminates excess sebum while removing dirt and make-up. Its anti-bacterial properties rid skin of bacteria and inhibit bacterial reproduction and, as it is non-comedogenic, it won’t clog pores. This rich, gentle foaming cleanser is infused with precious, skin-illuminating porcelain flower extract, which purifies and restores for a translucent and luminous complexion. Porcelain flower extract helps even skin tone and illuminates skin whilst Omega-6 Essential Lipid Blend helps keep skin hydrated. Jojoba Esters give the skin a silky, youthfully smooth texture and enhance moisture retention. Achieve 3 effects in 1 use! First, apply as mud mask to unclog pores. Second, massage as makeup remover with water. Lastly, cleanse as foam with whitening effect. Did we mention that super affordable price point as well? 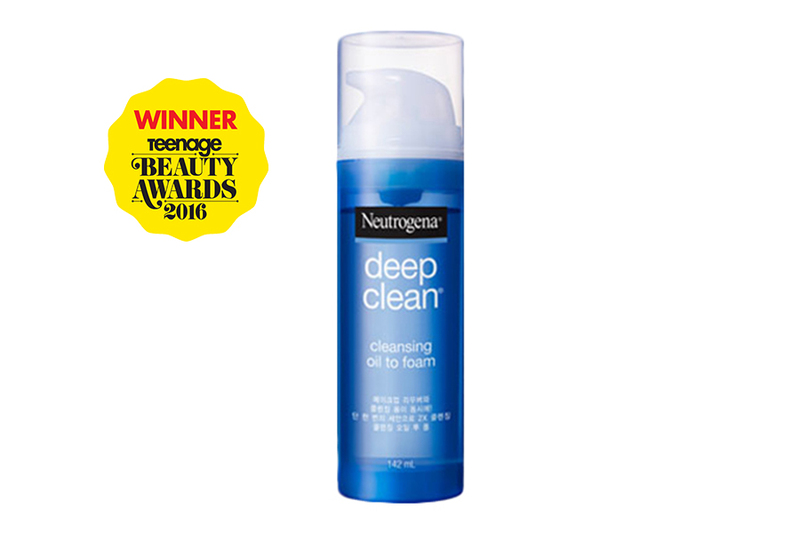 Based on latest Korean cleansing trend, the Neutrogena Deep Cleansing Oil-to-Foam is first an oil-gel that removes your make-up, then transforms into foam to clean your face! Suitable for all skin types, your skin will be thoroughly cleansed without being stripped of its natural oils, leaving it fresher and softer after use. Need a change in your beauty regime? We list down the best of BB/CC creams and sunscreens just for you! No matter if you’re a makeup newbie or pro, the BB/CC cream is an essential item that every girl should have. It provides good coverage, moisturises and even protects the skin from harmful externalities. Hence, we suss out the best BB/CC creams currently available in the market specially for you. 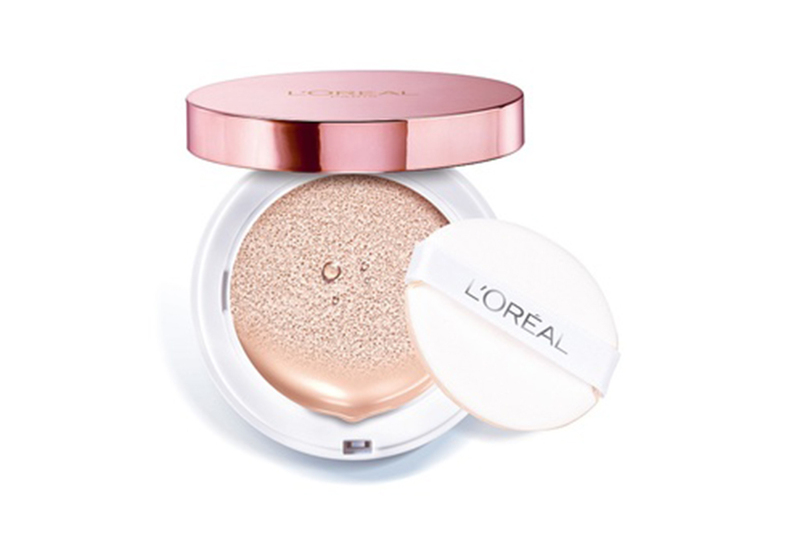 If you’re new to BB/CC creams, you might want to start out with the L’Oréal Lucent Magique BB Cushion if you have normal skin. Utilising byron liquid light technology that infuses essence water to form a signature liquid light complex. The innovative cushion contains lightweight water-based formula, released onto skin by a tap of the anti-bacterial rubycell sponge, for a truly flawless even finish. 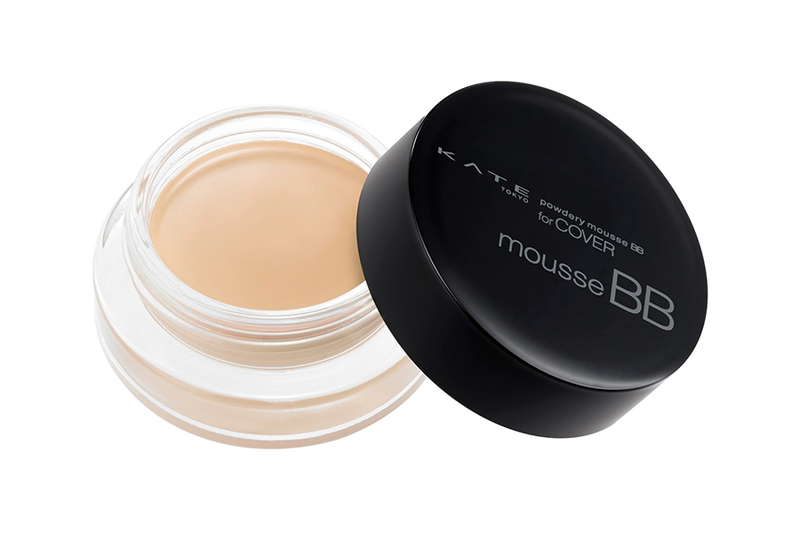 The KATE TOKYO Powdery Mousse turns into powder upon application and firmly adheres to skin giving it a perfect matte finish. The mousse BB that covers visible pores, and avoid shine and stickiness even in our unforgiving weather. 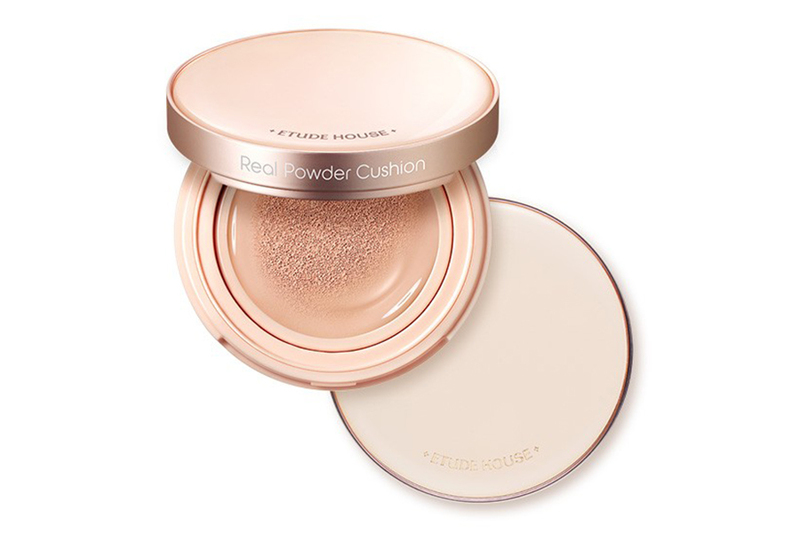 The ETUDE HOUSE Real Powder Cushion is armed with an innovative air-light powder conversion technology that converts the liquid formula into a feathery light matte powder finish upon application. It keeps skin moisturised inside and matte on the outside. 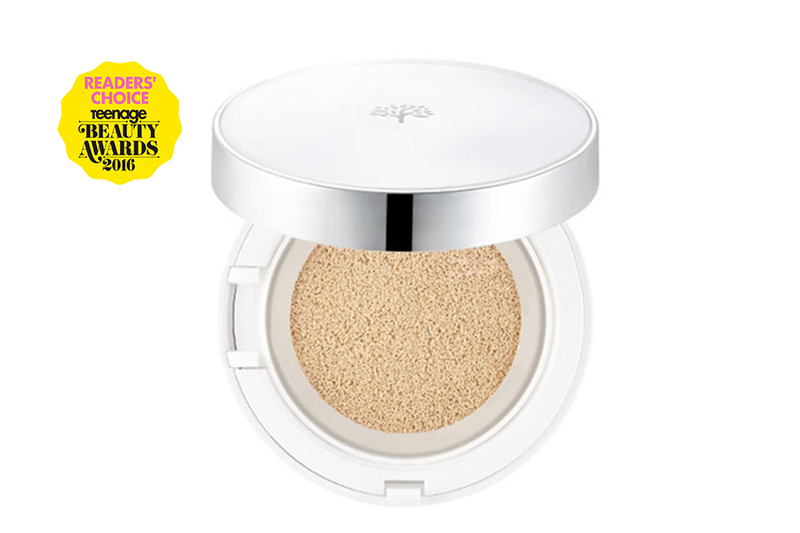 Meet the Super BB Cushion that’s formulated with more than 60% hydrating essence! It’s designed to give you all day intense hydration for a flawless complexion that radiates with a luminous glow. The long-lasting formula also takes away the need for touch-ups – your complexion stay flawless as if just applied! Our readers’ favourite! THEFACESHOP Oil Control Water Cushion is sebum controlling, moisture charging and long lasting in a convenient compact. 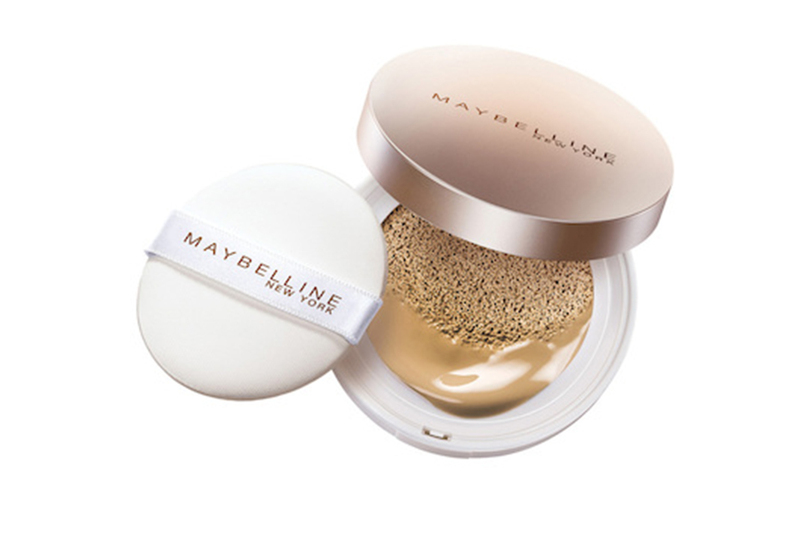 It has LG Patented Micro-Foam Technology to even application and keep foundation fresh. And also contains citrus unshiu peel extract and sebum cut powder for anti-inflammatory and sebum control! 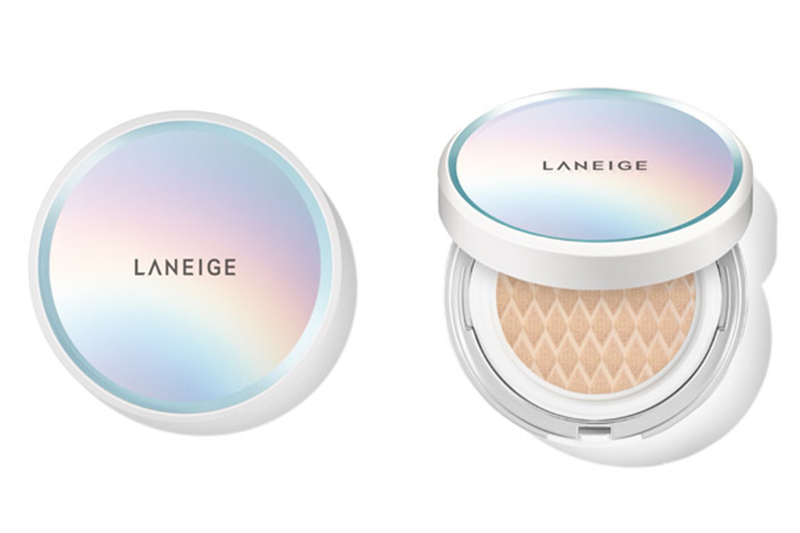 Hide those unsightly pores with Laneige’s multi-benefit BB cushion, leaving a fresh, semi-matte complexion all day. A tailor-made anti-bacterial puff hydrates and soothes with every application, while its tinted formula glides on smoothly and evenly for a natural finish. 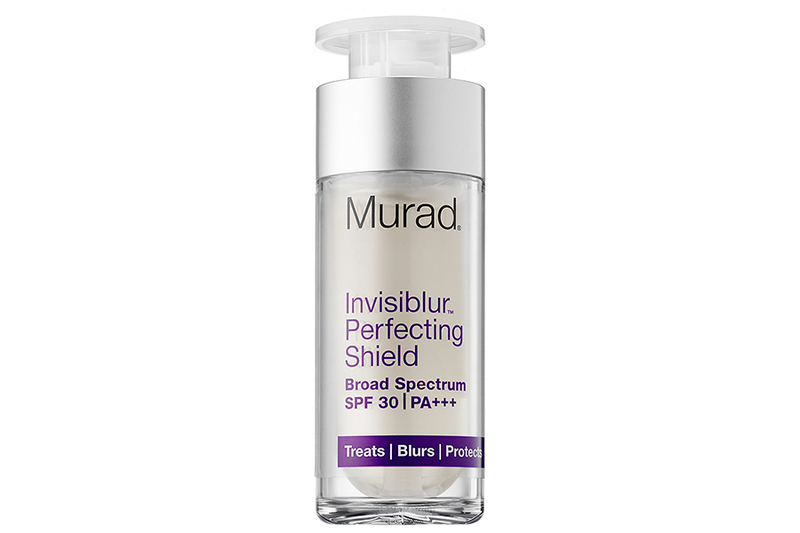 A cushion pact that contains Calming Water Complex which calms irritated skin from UV rays. Fermented extracts provide vitality and reveals a healthy radiant looking facial complexion anytime, anywhere. It also covers up redness and blemishes on face with one light dap! It’s affordable, provides good coverage, easily build-able and allows skin to breathe plus it’s specially formulated for sensitive skin! 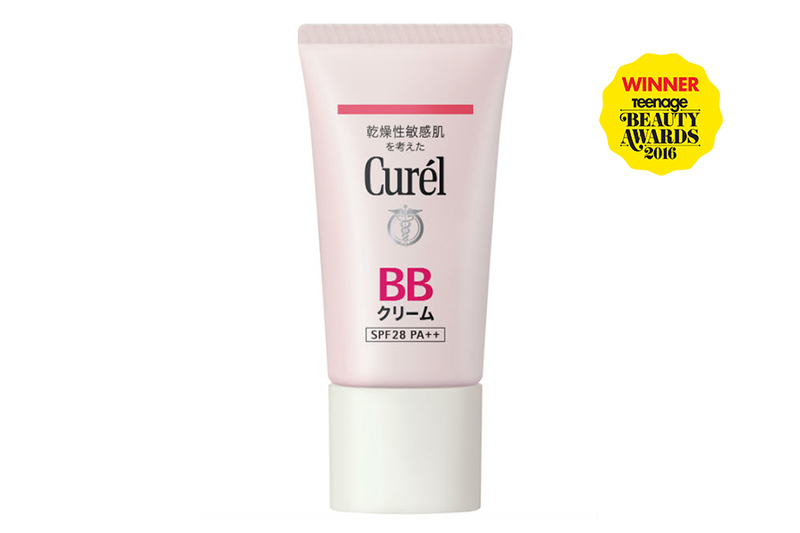 Curél BB Cream nails a flawless cover-up of the rough and dry patches while strengthening the skin against external irritants in the long run. 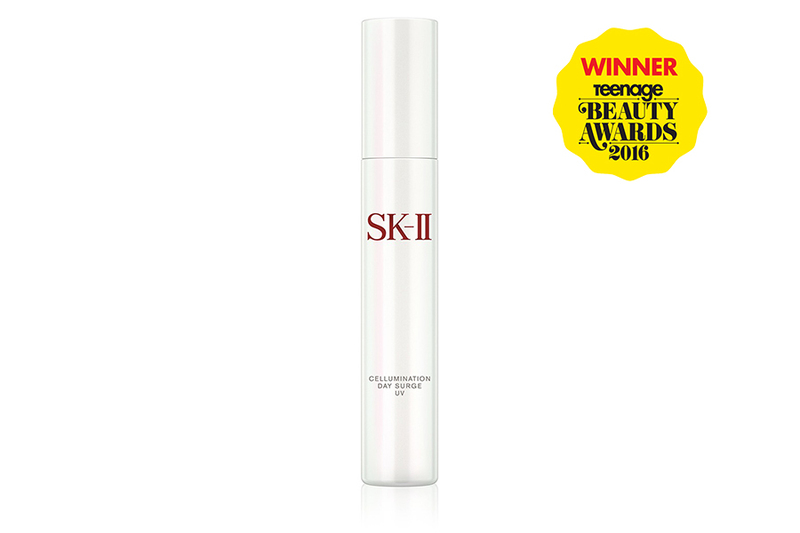 Which is why it’s hands down our winner for the Teenage Beauty Awards 2016! Looking to get a suitable sunscreen? Check out our list of the best sunscreens for Singapore weather! Now that you’re properly educated after reading our fully comprehensive guides to all things sunscreen here and here, we pick out the sunscreens that works best against our hot and humid weather just for you. 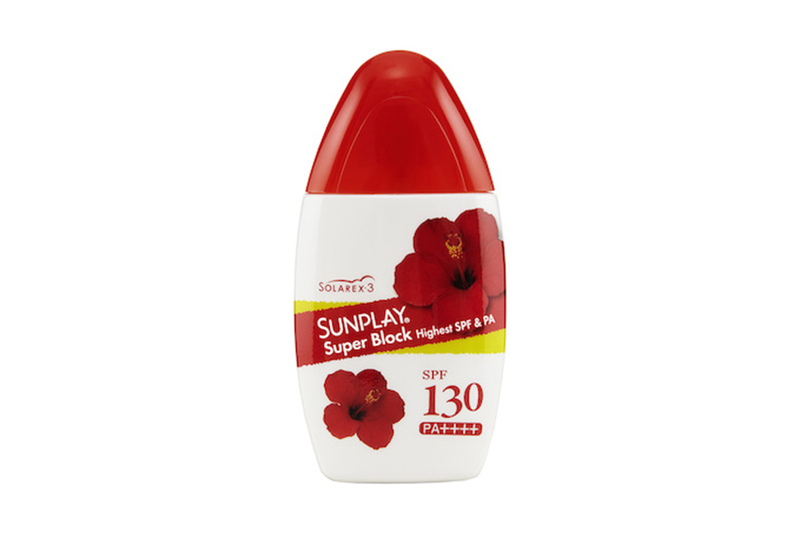 Sunplay Ultra Lotion is the sunscreen with the highest SPF and PA values, and has been ranked the best selling sunscreen in Singapore for 2 consecutive years (2014 & 2015). Its watery texture makes application a breeze and your precious skin would be protected the whole day with just one application! Neutrogena CoolDry Sport Sunscreen Spray provides protection even during the most intense activities. With their new technology, this sunscreen allows sweat to pass through and evaporate away plus protection stays right where it should. So your skin stays naturally cool, comfortable and protected at all times! 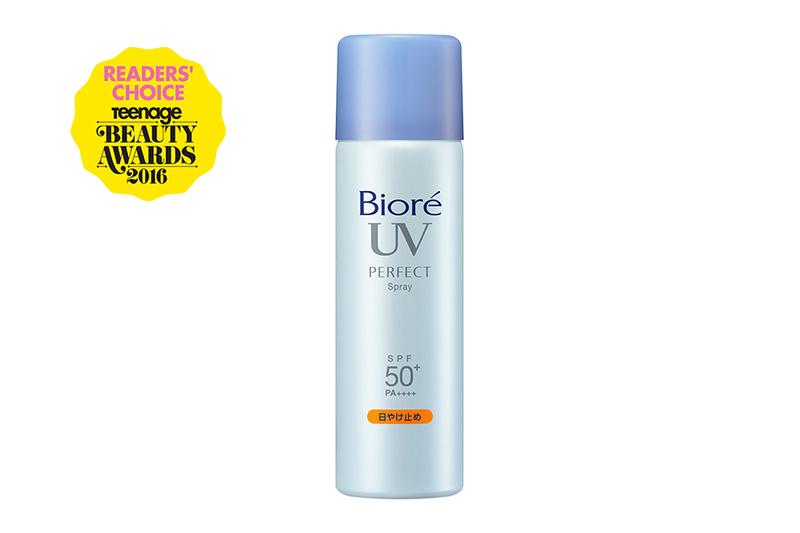 Our Teenage Beauty Awards 2016 Readers’ Choice winner delivers ultra lightweight texture that feels invisibly light on skin, even after multiple applications! Formulated with a superfine, translucent powder that leaves a soft, powdery, smooth feel on skin. We love the fuss-free spray which can be applied on the face, hair and body – complete protection from head to toe! Looking to start your anti-aging beauty routine? 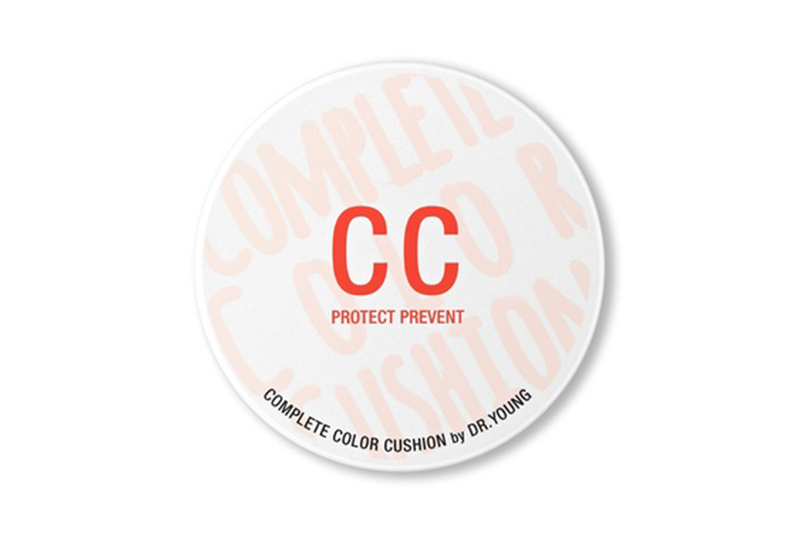 It’s never too early to start ’cause prevention is always better than cure. Formulated with specialised ingredients that are designed to promote total skin perfection, this formula delivers a powerful anti-aging treatment with priming benefits, a moisturiser, and a sunscreen in just one step! 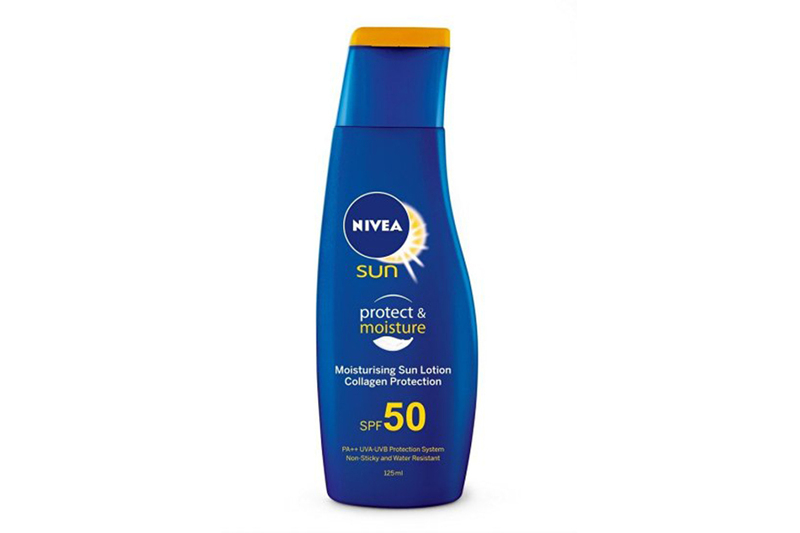 If you dread having to apply sunscreen and body lotion, go for NIVEA’s Protect & Moisture Lotion which protects skin from UV rays while keeping it hydrated at the same time! This double duty, water resistant sunscreen offers 24-hour moisturising benefit and immediate sun protection in one product. 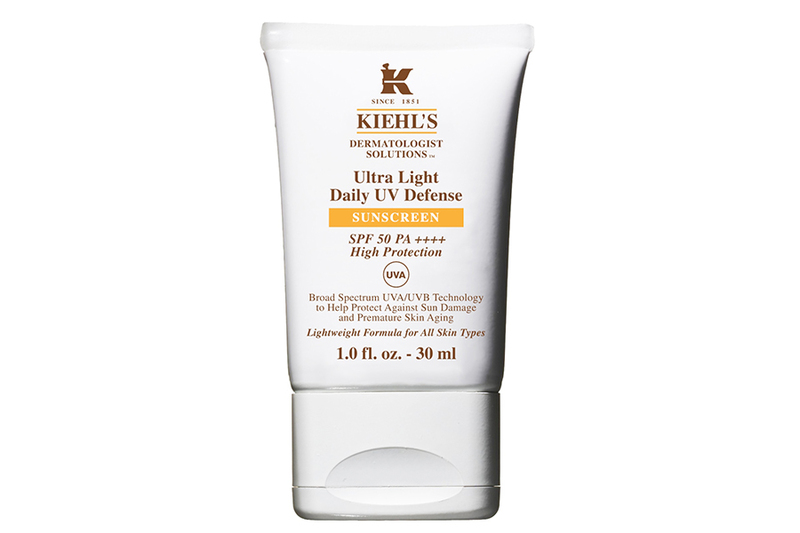 The highly-raved about Kiehl’s Ultra Light Daily UV Defense is oil-free, fragrance-free, colorant-free and non-comedogenic. The new and improved formula is quickly absorbed without any greasy feeling plus it has Rosa Gallica to sooth and calm skin, making it the ideal choice for sensitive skin! 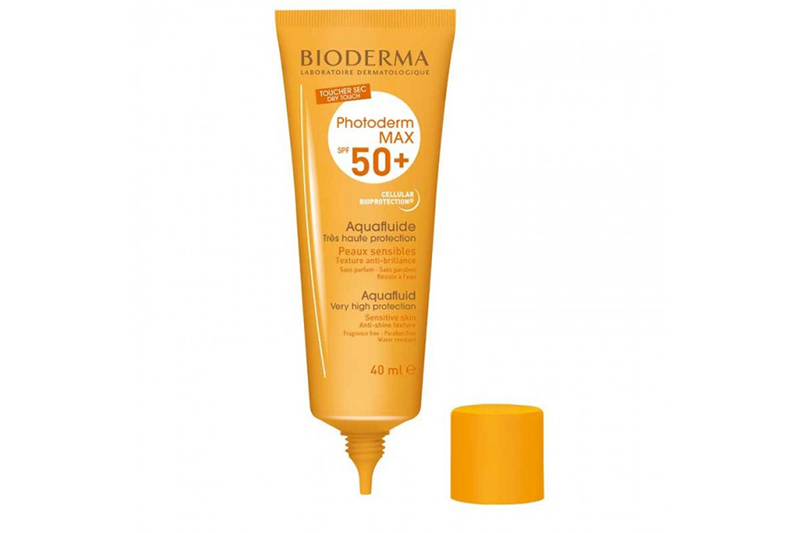 Not only does the Bioderma Photoderm Aquafluid protect your skin against the harmful UV rays, it has a pleasantly light and weightless texture that has a mattifying dry touch finish and can double up as a make-up base! Did we mention that it is also paraben-free, hypoallergenic, non-comedogenic, photostable, water-resistant, non-greasy, fragrance-free and leaves no white traces? The SK-II Cellumination Day Surge doesn’t just protect and moisturise your skin, it also brightens dull skin! Making it luminous with a translucent glow. Specially formulated with Aura Bright Cocktail D with Pitera, it doesn’t leave your skin feeling sticky or greasy after application, is proven to reduce dark spots effectively and is our Teenage Beauty Awards 2016 winner! Do we need to say more? Now that we got sunscreens covered, if you have any problems with dark underarms or body odour, be sure to check out our tips and tricks for those as well! We talked about knowing your UVA to PA++++ in the Guide to Sunscreens Part 1 and now we’re here to let you know more about the different types of sunscreens and which kind is best for you! Before you jump in and purchase any sunscreen off the shelf, you need to know the different kinds of sunscreen there are available in stores. There are two general types of sunscreen – physical and chemical ones. There are also hybrid sunscreens that contain both physical and chemical sunscreen ingredients. Physical sunscreens protect your skin from the sun by deflecting or blocking the sun’s rays. Chemical sunscreens work by absorbing the sun’s rays. Some chemical filters can scatter sun rays, but still mostly just absorb them. Titanium dioxide protects against UVB rays, but not the full spectrum of UVA rays. Zinc oxide protects against the entire spectrum of UVB and UVA rays. Starts protecting immediately upon application. 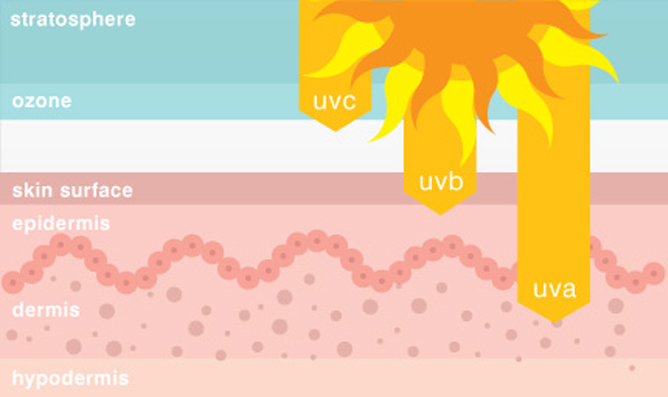 Chemical filters offer more coverage against UVA and UVB rays than physical sunscreens, but the range of protection will depend on the particular ingredient and its stability. Avobenzone, for example, protects against the full spectrum UVA rays. Must wait 20 minutes after application for effective sun protection. Thick and opaque, may be hard to apply. Tends to leave a white castor tint. Look for sunscreens that are natural, PABA-free (para-aminobenzoic acid), oil-free, hypoallergenic and fragrance-free. Mineral based sunscreens are ideal as titanium dioxide and zinc oxide stays on the skin’s surface instead of being absorbed into it. Use lightweight, oil-free and fragrance-free sunscreens. Look out got the term “non-comedogenic” as it means it won’t clog your pores. Look for sunscreens that are mineral oil-free and non-comedogenic. Use water or gel based sunscreens to avoid breakouts. Use cream-based sunscreens with extra hydrating ingredients like glycerin and aloe. Use sunscreens that are water-resistant or waterproof sun protection. Keep sunscreen away from your eyes. Re-apply after you get out of the water or every 2 hours as no sunscreen is 100% water and sweat-proof. Don’t use the same sunscreen meant for your body on your face. If you are using acne treatment products, apply it first, wait 20 minutes or so and then apply your sun protection over it. Remember to wash your face before going to bed to prevent pores from clogging. 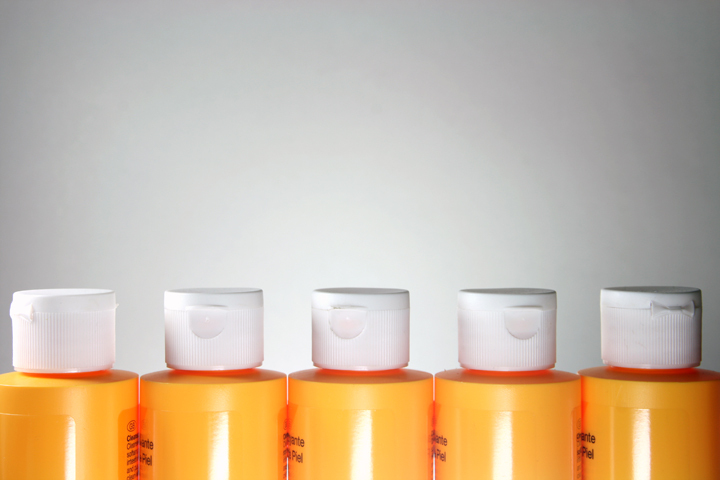 Are you familiar with sunscreen jargons? If not, find out more about it in the first part of our Sunscreen Guide!